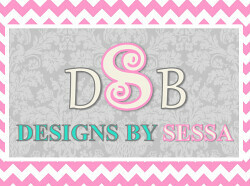 Y'all, I'm so excited to tell you about this brand new sewing event!! 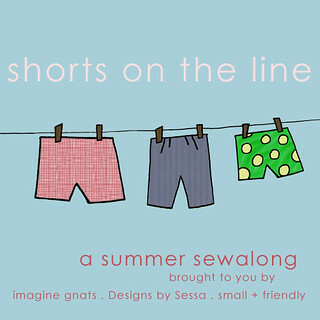 This July my two most favorite bloggers and I, imagine gnats, Designs by Sessa, and small + friendly, will be hosting "shorts on the line", a summer shorts sewalong!!! I seriously love these ladies! 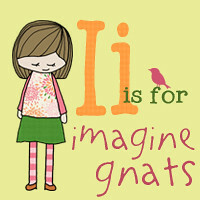 We actually all 3 won being in the Top 25 Most Creative Mom Blogs together and have been sweet friends for quite some time now! They are the best! Even though I have never met them in real life I know we would get along great! Like for example, last night we were signing off email toasting our glasses of wine from the west coast to the east coast and right smack in the middle! The Sewalong will be held for the first three weeks in July. 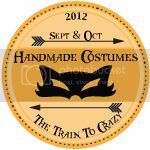 We'll be sharing some awesome guest posts with shorts inspiration, tutorials, and pattern reviews. 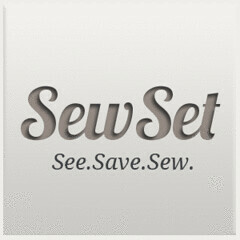 Those sewing along at home will have a chance to be featured in our sewalong round-up posts the last week of July.... and some *great* prizes, including fabric, patterns, and gift certificates! Really, the prizes for this event are out of this WORLD exciting! The full sponsor list and guest post schedule will be coming soon. Until then, you can check out our shorts on the line Pinterest board for some short-y inspiration. So, start making your plans and get ready! It's going to be great!